It is estimated that recreational and commercial boating has nearly tripled in the last decade, with more than 14 million boats and personal watercraft currently registered in the United States today. The number of boats has increased by more than 2 million since the late 1980s, crowding the limited space of our country’s rivers, lakes, and waterways. This level of growth in boat use has inevitably led to an increase in related boating accidents. According to the U.S. Coast Guard, there are currently more than 8,600 boat crashes each year, and these accidents leave more than 900 people dead and nearly 4,500 seriously injured. Typically, powerboats such as speed boats, cabin cruisers, and jet skis are the most common types of watercraft to be involved in boating accidents, although sailboats can also be involved in accidents. The most frequent sources of injuries seem to be caused by propeller accidents and collisions. Also, because personal watercraft such as jet skis can’t be steered when the throttle is released, inexperienced drivers often have collisions when confronted with an emergency situation. Serious personal injury and even death can occur from a boating accident, as well as from a person falling over the side of a boat and drowning. Even if injuries from the boating accident appear minor, it is advised to seek medical evaluation. Oftentimes, an injury from a boating accident may be underestimated and the boating accident injury can later cause continued pain, further injuries, and more financial burdens. A boating accident attorney in South Carolina can seek damages appropriate to the injuries sustained, and in the event that further medical treatment will be needed for the boating accident injuries, compensation can reflect that. When most people think of boating accidents, they think of collisions between two or more watercraft. While collisions do make up the majority of boat accidents, they are not the only type of accident that occurs, and they are not actually the most dangerous. The number of people who have died from falling overboard significantly outnumber the number of people who have died in a collision. Out of these accident types, the most deaths occurred with falls overboard. Flooding and swamping were second, and collisions were third. It is estimated that 84% of all fatal boat accident victims were not wearing life jackets at the time of their death. reservoirs, lakes, and even on the ocean. However, the presence of these vehicles can be a cause for concern because they have several design problems that may make them inherently dangerous products. 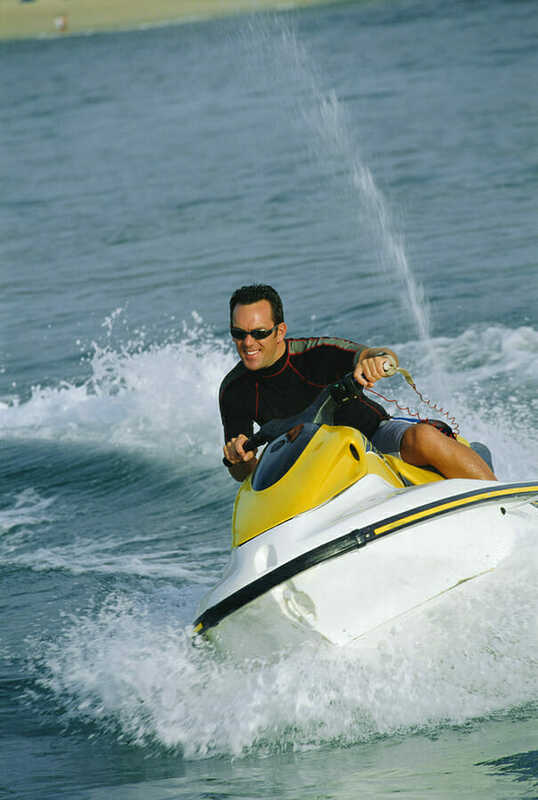 Published statistics show that personal watercraft are disproportionately involved in injurious accidents. Even when they only account for 18 percent of watercraft, they may account for 44 percent of boating injuries. An American Medical Association article reported that more than 8.5 times as many personal watercraft injuries were treated in emergency rooms as motorboat injuries. In addition, although most boating injuries occur as a result of drowning, personal watercraft injuries are from blunt-force trauma, including traumatic brain injury. Drowning injuries allow more room for prevention and intervention by friends, family, and emergency personnel, but when blunt- force trauma injuries occur on the water, it is harder for proper first aid to be given. Personal watercraft differ from most other watercraft in that they have no propeller or rudder. Instead, they are jet-propelled, with a steerable nozzle that directs the flow of exhaust to turn the watercraft. This works very well to propel and steer the craft when the engine is on. But when the engine is off, it gives no way for a rider to steer or stop the craft. The design also gives personal watercraft a very shallow draft, which allows them to be operated in very shallow waters frequented by swimmers and children. According to an investigation by the National Transportation Safety Board and information provided by the Consumer Product Safety Commission, most riders, when faced with a collision, let off the throttle to avoid it, but this leaves them with no way to steer. Since personal watercraft have no rudder or propeller, it may take nearly 500 feet for the vehicle to come to a stop, and in that 500 feet, it is likely to experience the very collision the rider sought to avoid, whether it is an obstacle, another watercraft, or swimming children. Yet another danger faced by riders of personal watercraft is from the high-pressure exhaust that propels the vehicle. If a rider falls off the vehicle, the exhaust may hit him or her, which is powerful enough to seriously damage the skin and internal organs. Although some design improvements have been made (such as the transition to sit-down types of personal watercraft, and the introduction of engine cutoff lanyards) to protect riders, many still believe these are inherently dangerous vehicles. What should I do if I’m injured in a boating accident? There are thousands of boating accidents in the United States resulting in serious or fatal injuries every year. Boat accidents involving powerboats are the most common, but any water vessel can be involved in an accident. No matter what type of boating accident you are involved in, the steps you take afterward will be crucial to ensuring proper compensation. The South Carolina boat accident lawyers at McWhirter, Bellinger & Associates, P.A., are here to help victims of these accidents seek justice and get maximum compensation. If you are able, immediately following an accident you should contact the Coast Guard to report it. The Coast Guard will send emergency personnel to the scene to provide medical services and assess the situation. You are required to contact the Coast Guard following a boating accident in which injury or death has occurred. The Coast Guard must also be notified if a vessel has been completely destroyed or if you estimate more than $2,000 in property damage. While waiting for the Coast Guard, you should begin gathering information. Try to obtain the name, contact information, and insurance information of any other boaters involved in the accident. Try also to gather contact information for any passengers and eyewitnesses to the accident. Do not admit fault to anyone you talk to following your accident. When you contact our office, we will be happy to answer any questions about boating accidents you may have and help you determine what you are entitled to. What types of boats are most commonly involved in accidents? While any boat can be involved in an accident, most boating accidents involve powerboats or personal watercraft. 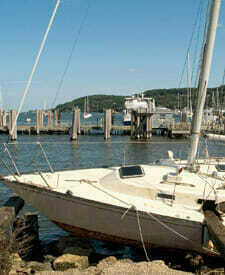 Some boating accidents also involve large commercial boats or even small sailboats, but these are less frequent. If you have been injured or a loved one has been killed in a boating accident, no matter what type of craft was involved, you deserve an aggressive injury lawyer on your side. Is drowning the only type of boating accident injury? Any of these injuries can lead to death. Most boating fatalities are a result of drowning, but serious injury is much more common. Alcohol consumption is one of the leading causes of boating accidents. However, many boating accidents are also caused by inexperienced drivers, craft malfunction, or inclement weather. Because there can be more than one factor involved in your accident, you need an injury lawyer to investigate the cause and determine liability. Only an experienced injury lawyer can help ensure that you get the full compensation you deserve. What damages can I seek in a boating accident lawsuit? The damages sought in your case will be dependent on the way your boating accident has impacted your life in particular. During your free case evaluation, one of our injury lawyers can help you determine what your claim may be worth. Is there a statute of limitations on boating accident lawsuits? Boating accidents may fall under maritime law or personal injury law, but the statute of limitations for both in South Carolina is three years. However, having three years to take legal action does not mean you should wait three years to file a claim. In fact, the longer you wait, the more difficult obtaining an adequate settlement can become. It is always in your best interest to contact one of the injury lawyers at our firm as soon as possible to begin proceedings and help ensure that you are awarded the settlement you deserve. The majority of boating accidents are caused by speeding, intoxication, inexperience, hazardous conditions, or equipment failure. Maritime law regulates the transportation of goods and people on all navigable waterways, including oceans, rivers, large lakes, and more. Anytime a boat accident occurs on navigable waters, maritime law governs the grounds and procedures for legal claims. Hiring an attorney who is experienced in maritime law is important if you want to increase your odds of a successful case outcome. If you or one of your loved ones has been seriously injured in a South Carolina boating accident, please contact McWhirter, Bellinger & Associates, P.A., today to schedule a free case evaluation. We represent injured victims throughout South Carolina, with offices in Camden, Columbia, Lexington, Sumter, Orangeburg, Aiken, and Newberry.